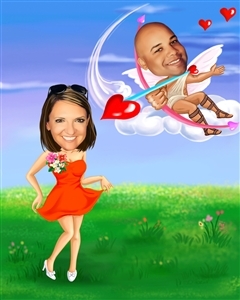 Cupid and Psyche are in love! 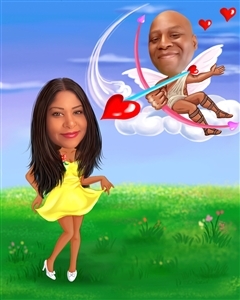 This personalized fantasy caricature makes a romantic gift for your significant other. My wife loved this picture of us. It made a perfect anniversary gift.